BKF File Viewer is totally free solution offered by Aryson Technologies that allows to open corrupted Windows backup file without any data loss. It permits to preview all items from corrupt BKF file and save them into TXT file format. It runs on all platforms of Windows including Win10, Win8 and other lower versions. 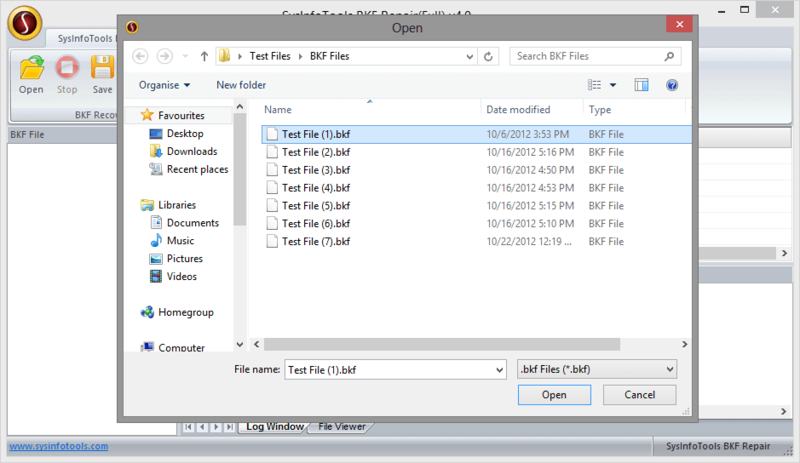 Free BKF File Viewer is extremely remarkable software to let you open Windows backup file without any restrictions. It has a capability to open read and view inaccessible or corrupt Windows backup file just in a matter of minutes. The tool can be run on any Windows versions including Win10, 8.1, 8, 7, Vista, XP, and below versions.